Google’s ecosystem has evolved rapidly over the last few years. As it has evolved Information Architecture (IA) and Website Structure has played an important role. How a website’s information is structured and delivered to a user directly signals to Google what the content is about, and Google’s algorithm calculates if it fits the user’s query. We’re starting to see a pattern of what appears to be weaker sites outperforming traditional authority sites for a variety of keywords. Google is shifting what it perceives as relevant and authoritative. In the end, Google has one goal. To serve the user the most relevant information for the query they enter. Information Architecture (IA) and Website Structure are being leveraged to build sites that optimize their ability to rank for certain keywords. We refer to these as SuperPages. To get an idea of websites using this strategy, you can visit any of the below links. Each site looks very different when viewed from a user’s standpoint, but they use the same strategy but vary slightly in implementation. I expect it’s because their perspectives and goals differ. Regardless they all understand one thing. How to use internal and external links. You still need an authoritative site but not near as strong as the competition if the content and linking structure is optimized. It is a structured pattern of distributing SEO signals between pages. Imagine a website with more external links to a landing page or “money page” than all other pages. It would be a lopsided site. Easy to detect and very popular at the beginning of the century. It could be avoided if we substitute internal links for many of the external. These are links we control and can pass signals to the most important pages on our site. We must still keep it relevant and natural, but this shouldn’t be an issue if we design and structure our site correctly. Once these websites began being penalized SEO’s using, blackhat techniques turned to using web 2.0 properties to try to protect their “money” pages. They wrongly assumed that the amount of links to their “money” pages caused them to get penalized. The real issue was the quality of links. These sites usually consisted of thin low-quality content, so they were also hit by the Panda update as well. So why are these SuperPages so important? They have the ability to rank for keywords against competitors much bigger. Ask yourself: “How can qway.com possibly rank right along with the big boys with 16 links?” Please note their rank has since changed (and will fluctuate) due to changes such as the addition of news links in and the incorporation of the knowledge graph in the SERP’s. The current problem with SEO’s today is they think in terms of one dimensional. Google is three dimensional, and the best SEO’s understand and design their sites to take advantage of it. What if I said your website structure looks more like this. Now, what if I told you that the second image was just a page on your site, not the site. Think about the concept of “six degrees of separation.” Six degrees of separation is the theory that everyone and everything is six or fewer steps away, by way of introduction, from any other person in the world, so that a chain of “a friend of a friend” statements can be made to connect any two people in a maximum of six steps. Think of the first image as just a page that makes up a larger ecosystem. We believe that Google has incorporated fractal logic in its algorithm. Fractal: An intricate geometric pattern exhibiting self-similarity in that small details of its structure viewed at any scale repeat elements of the overall pattern. 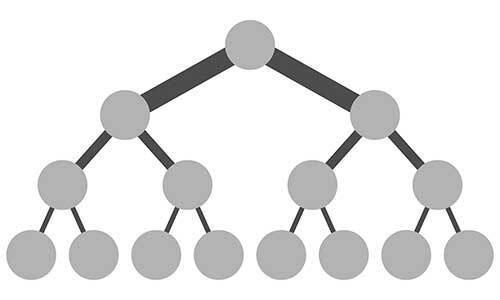 What does Fractal Logic mean for SEO? If you view a grain of sand through a microscope, the outer rim of the grain will resemble a coastline. This is due to the nature of the makeup of the grain and will “naturally” fall into a particular pattern. A simple example is the stock market. You can look at any stock or index (price pattern), and it will look the same at any distance (time frame). The stock market isn’t a product of nature but humans are, and we make up the stock market. Have you ever heard that a government agency is looking into stock manipulation? How could they spot it? Very simple. When you take out human emotions from the equation, the pattern changes. 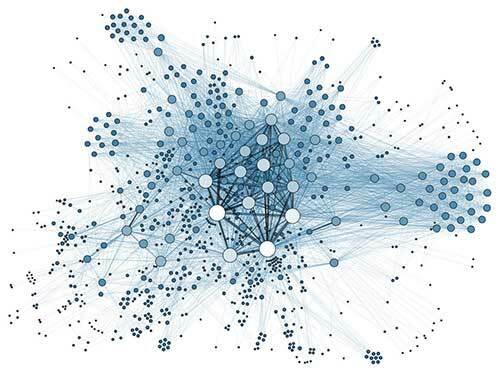 Fractal logic would help Google spot irregular patterns in external and internal linking, the building blocks of the world wide web. By comparing sites that they consider having a “natural” link profile to one that doesn’t they have a baseline for evaluating websites. Web sites are just a location on the world wide web. Everything we do, we must take into account our position in Google’s ecosystem. We must make sure that Google has a clear picture of who, what and where we are. This affects everything from on-page SEO to link building techniques. Google’s primary function is indexing the World Wide Web and serving it up to people using their search engine. Websites we serve are a part of this ecosystem. Google’s algorithm has become so complicated that it is moving towards machine learning and possibly artificial intelligence. What does this have to do with SEO? To design sites that rank well in Google, we must first understand how Google views a site. One of those ways is through internal and external linking. This is why links are so important in SEO. To understand how Google values them is to learn how to structure our ecosystem (website). They are the connections that make up Google’s ecosystem. Google constantly devalues links. If they didn’t devalue low-quality links, their ecosystem would eventually collapse. Picture it as a slow onset of Alzheimer’s that would accelerate as it degraded. up the networks that form the ecosystem. 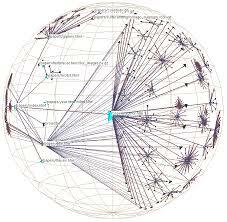 The ultimate solution would be to study the structure of Google’s ecosystem. Unfortunately, even if we could look inside it would be too complex to understand by this point. At best we would only be able to grasp certain concepts as some SEO’s have done.